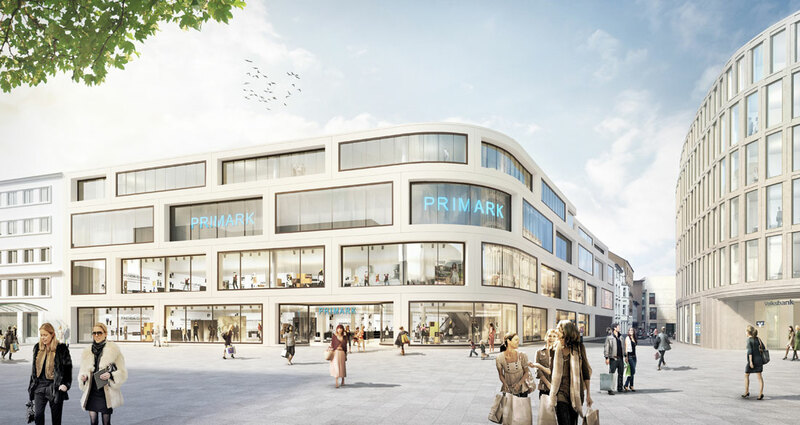 In 2013, the Volksbank Rhein-Ruhr eG put out a competition for the new construction of the former main office in the center of Duisburg, within which framework ideas for a modern and timely office building should be developed. 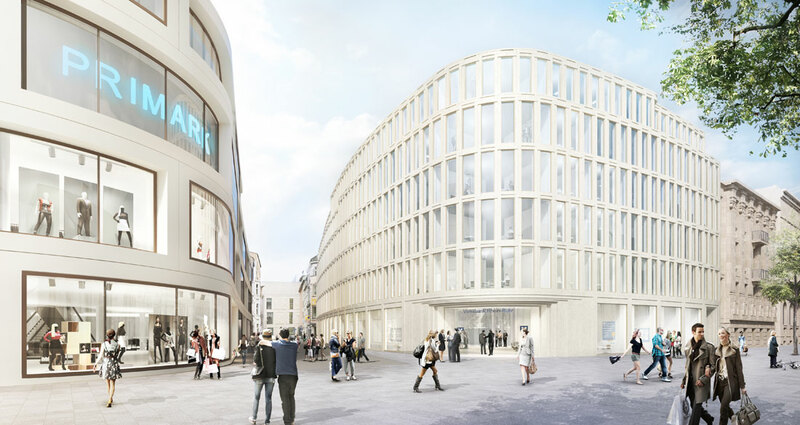 In the proposal by Kleihues + Kleihues, the facade of the Volksbank is based on the monuments Düsseldorfer Street 19 and 21. It continues their tectonic vertically structured natural stone facades with a sandstone-colored limestone that has subtle fossilized shells in its appearance. 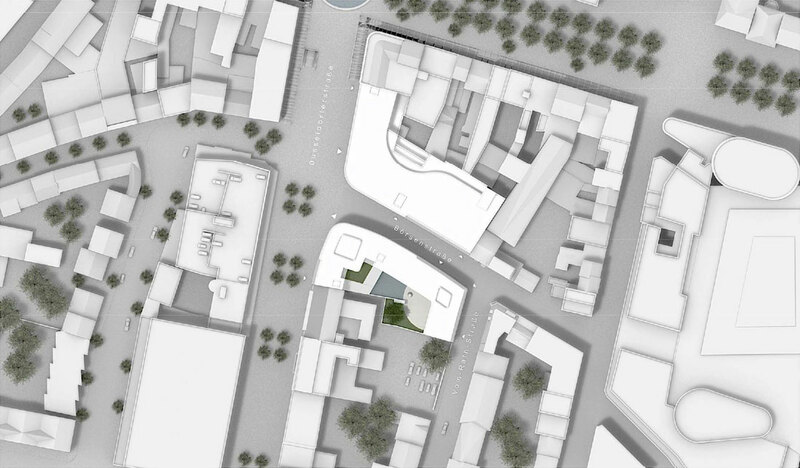 However, the extreme massiveness of these buildings is counteracted by a delicate and sophisticated meandering design concept. In this way a thematic repositioning is achieved.